This is a roundup of all the breaking news from around the Las Vegas valley for October 18, 2018. 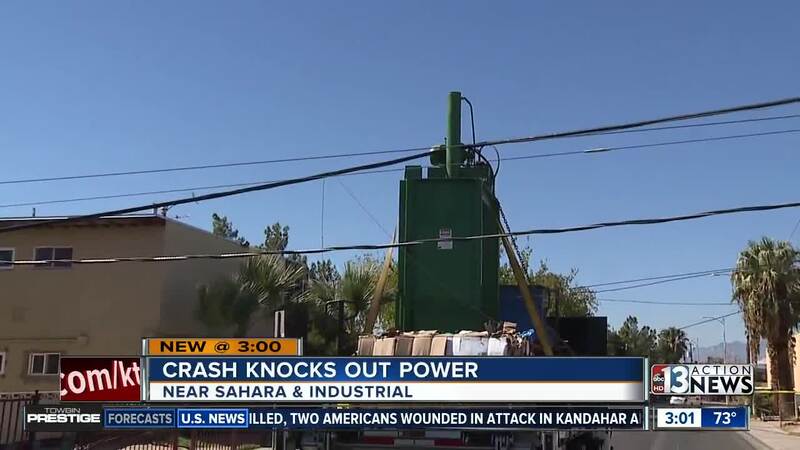 About 550 customers remain without power near Sahara Avenue and Las Vegas Boulevard after a truck crashed into a power pole. 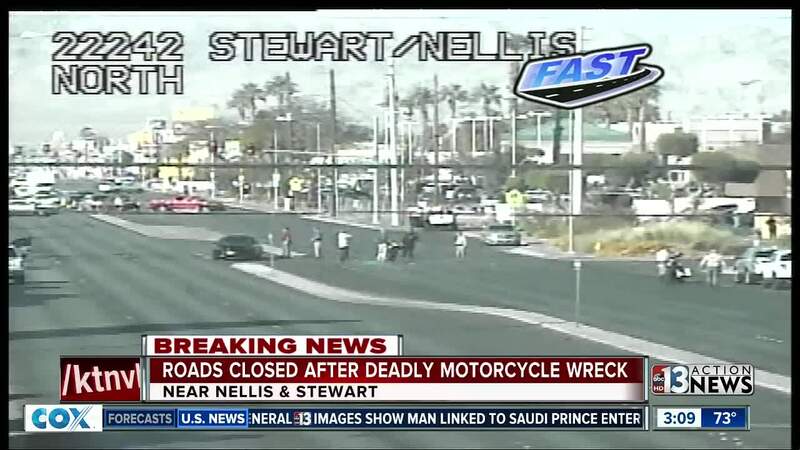 Nellis Boulevard is closed in both directions near Stewart Avenue due to a crash between a motorcycle and a vehicle. The 43-year-old motorcyclist was transported to the University Medical Center but passed away from his injuries sustained in the crash. A driver and passenger in the vehicle involved were also transported to the hospital with non-life threatening injuries. About 950 customers are without power after a vehicle crashed into a power pole in the 200 block of West Cleveland Avenue, near Sahara Avenue and Las Vegas Boulevard. The power pole fell onto a building and the power lines are on top of a truck. A driver is stuck in the vehicle due to the power lines. Injuries are unknown at this time. A 32-year-old man from Seattle is in the hospital with life-threatening injuries after crashing a Mustang in the 7600 block of Rancho Destino Road. Police say the driver was traveling east on Robindale at a high rate of speed and lost control at Rancho Destino. The car hit several pieces of landscaping and a parked car. The debris hit a residence and broke windows and punctured the exterior siding of the home. Fatal Detail responded to the scene. Clark County Fire Department responded to a report of a fire at 1717 Christy Lane. Upon arrival, they discovered a debris fire in the home's pool. Firefighters were able to prevent it from spreading to the home. No injuries reported.